Will not cause transducer membrane swelling. Ultrasound Accessories can be found in our extensive online collection of products from globally recognized and trusted brands, including Parker Labs. 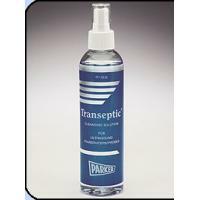 An excellent option to consider is the Transeptic Cleaning Solution 8.5 fl. oz. Clear Spray Bottle.